composed of 2 double BRs, 2 single BRs, 2 full baths, full kitchen w/dishwasher, living room. composed of 2 double BRs, 1 single BR, 2 baths, full kitchen w/dishwasher, living room. Amenities include: BR furniture (bed, dresser, desk, chair) [mattress available in as-is-condition or bought new by tenant], heat and hot water paid by owner, oak floors throughout, maid service provided on alternate weeks in units with multiple occupants, laundry facility on-site, access to basement and backyard, summer storage available. [Some LR furniture is available in as-is condition upon request and availability]. Security features: dual locks on Apt. doors, locked front gate with intercom, camera surveillance being installed. 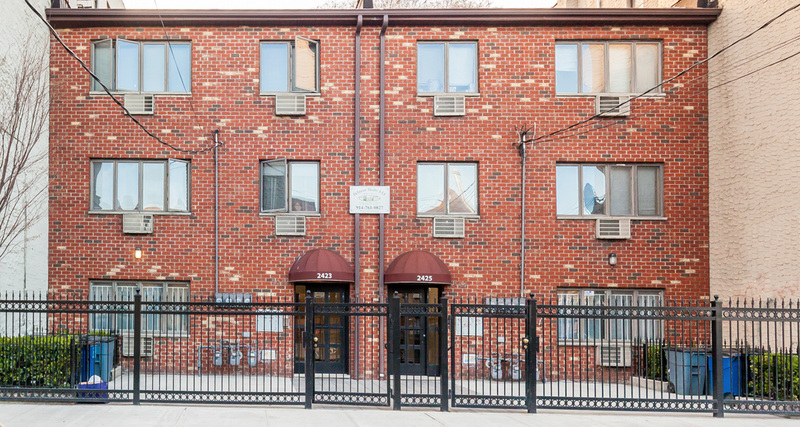 Units have just been rehabbed with brand new fully tiled bathrooms, brand new kitchens w/ granite countertops, crown moldings and chair rails troughout, stained panel doors, decorator paint colors, etc.. Copyright © 2019 Belmont Realty LLC. All rights reserved USA and Worldwide.